Easy for customers to buy accessories quickly. 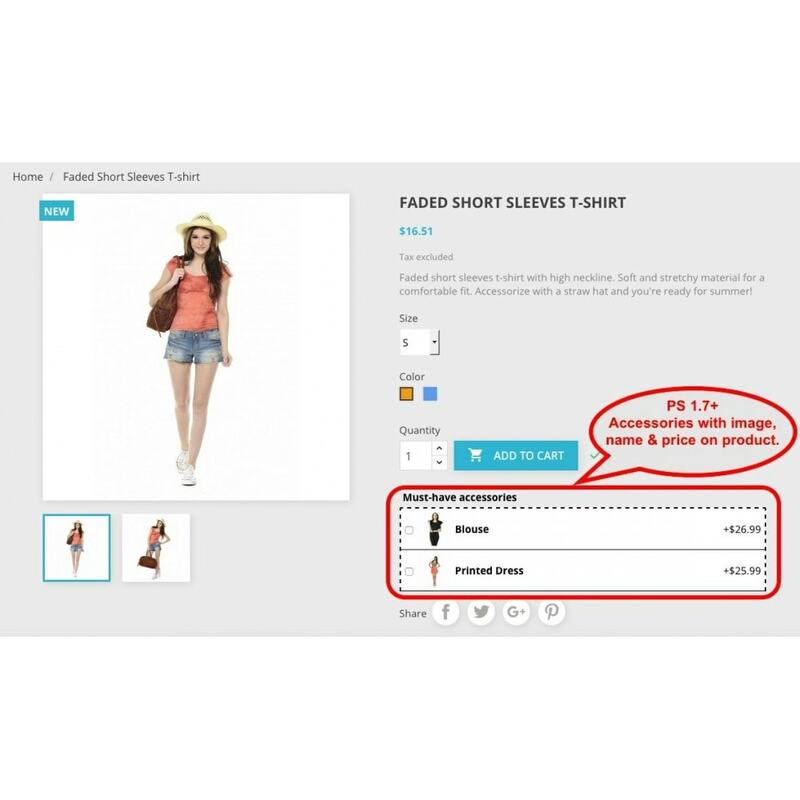 Enhance the overall user buying experience. 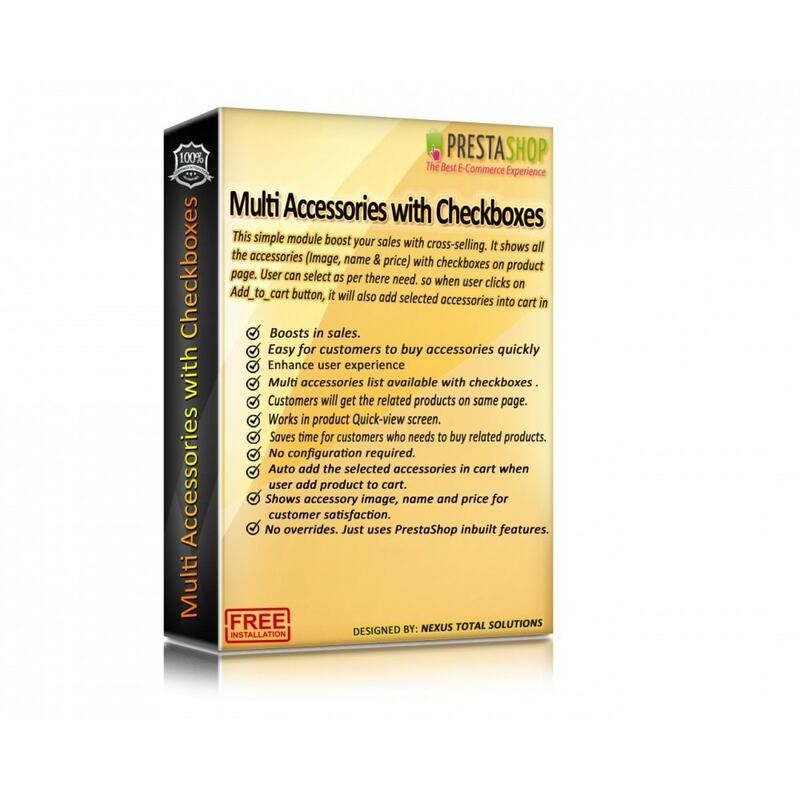 Multi accessories list available with checkboxes on product page. Shows accessory image, name and price for customer satisfaction. 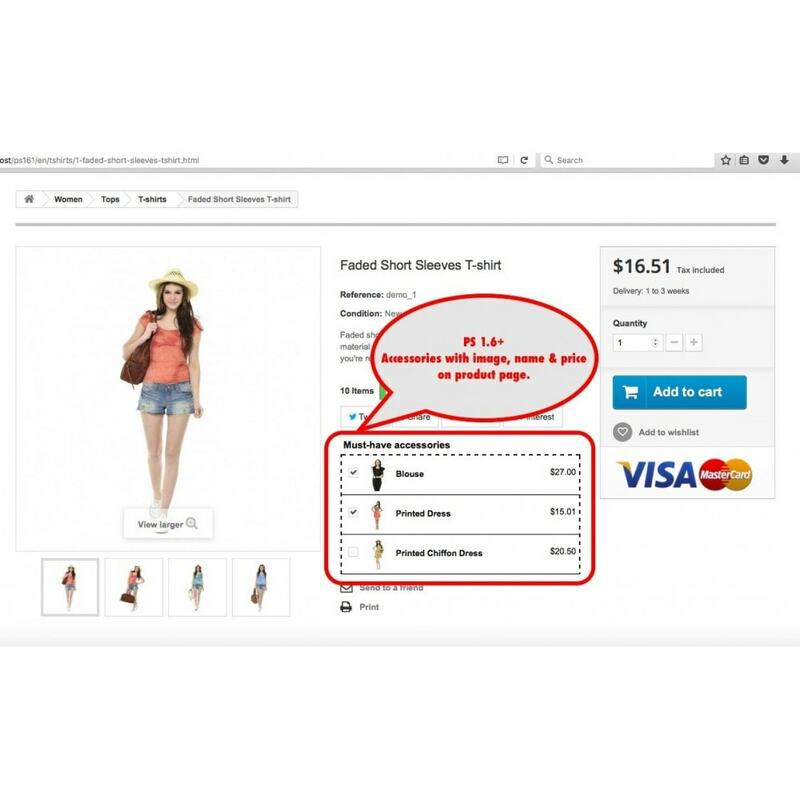 Auto add the selected accessories in cart when user add product to cart. Works in product Quick-view screen. Add selected accessory products in background with no redirection. No overrides. 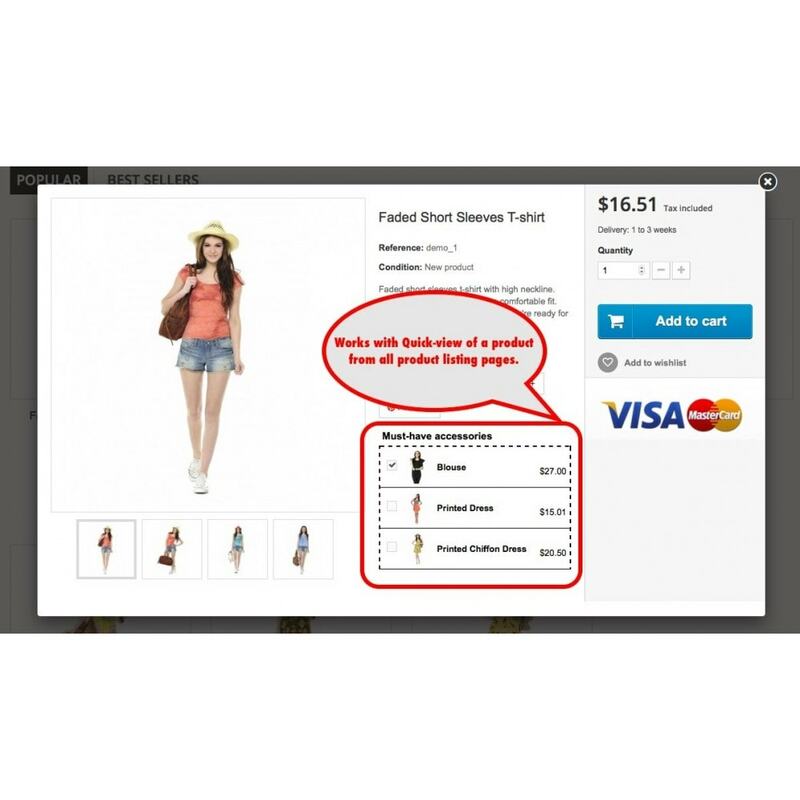 Just uses Prestashop inbuilt features. 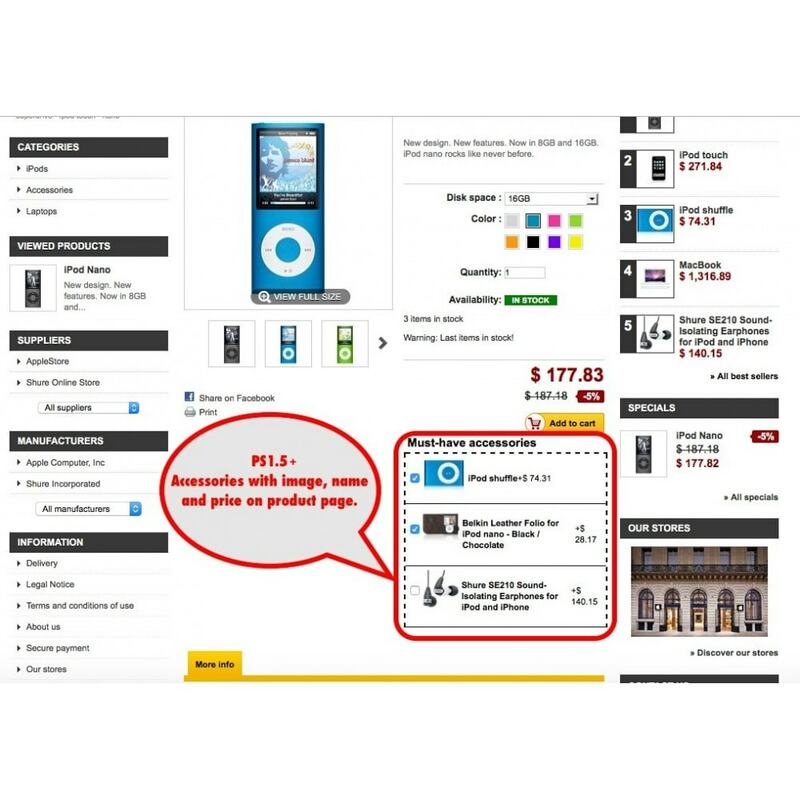 Customers will get the related products on same page. 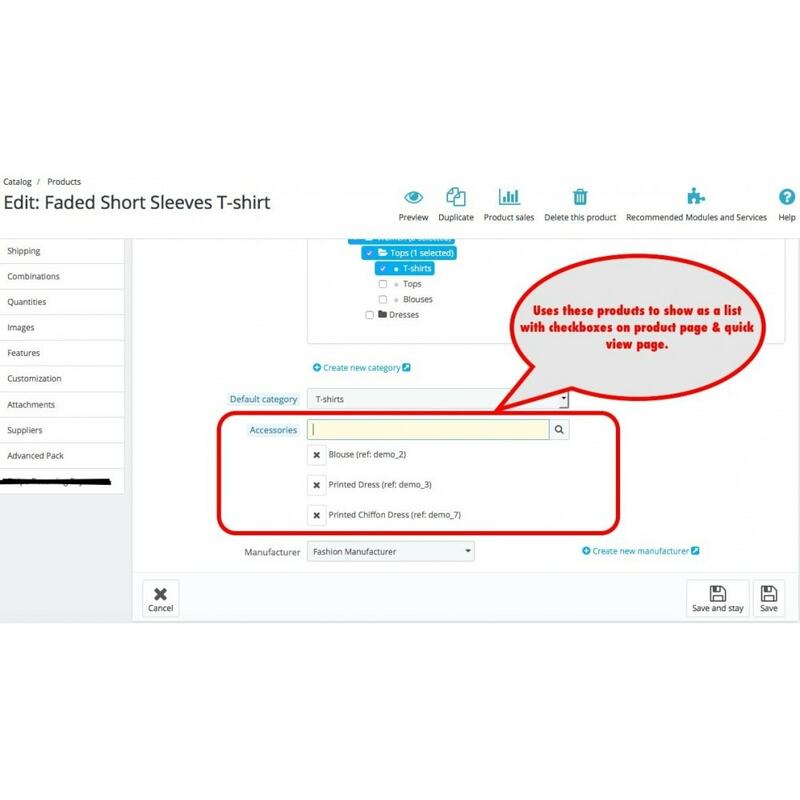 Saves time for customers who needs to buy related products. Just upload the zip file to install it and you're ready to go. No configuration required.